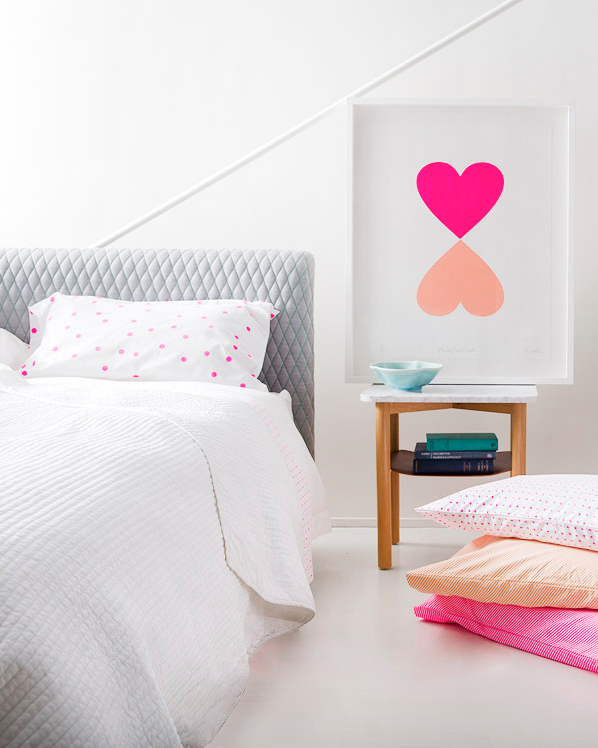 I’ve been lusting after Castle and Things bedlinen for some time now… With the release of some new designs, I think it’s time to bite the bullet. I mean, how could you not wake up happy laying in a sea of the brightest and cheeriest colours going around?! Images via The Design Files. Photographed by Jason Busch. What a gorgeous room! I love those colors to bits. How I wish to have this gorgeous room.